Sorry about that. 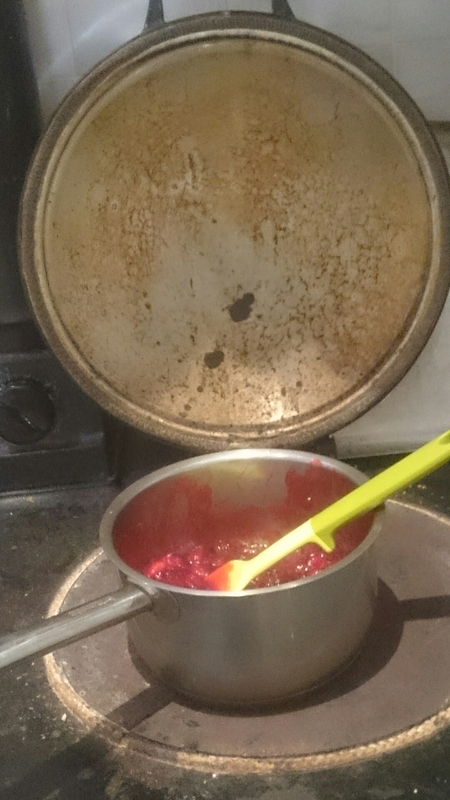 This cranberry sauce is lovely but probably not the best ever. It’s just everyone out on the Internet seems to have an ultimate recipe and I was beginning to feel left out. On the positive, and more honest, side it only takes a few minutes to make, requires as little effort as is reasonable to request and tastes lovely. You’ll also feel wonderfully smug when you can tell your festive guests that it’s homemade. Finally, not saying anything but just saying, we’re getting our keys to our new house in three weeks! Three weeks! It’s almost happening. I still won’t quite believe it till it happens. Very last thing, I’m getting my new laptop so I might be able to have some respectable photos again soon. Put the orange bits, the port, the sugar and the spices into a medium sized saucepan and put it on a medium high heat. Clean two regular sized jam jars while the pan begins to boil. Stir the pan every now and then until the sugar dissolves, then throw in the cranberries. Keep stirring, mostly just for the positive feeling you get from stirring a lot of delicious stuff in a warm kitchen. Yup. That’s an aga. This is full on festive. 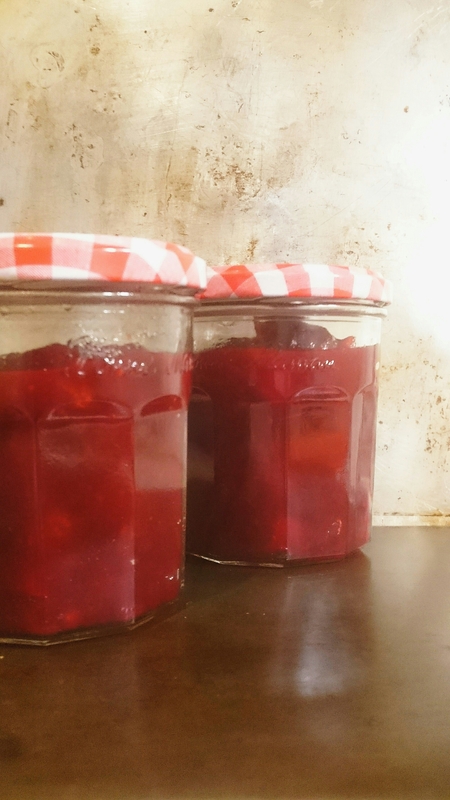 The cranberries will begin to pop gently to themselves but keep cooking until all but a few of the cranberries have succumbed – about 7mins. Take it off the heat and carefully pour it into your two jars. Let them cool down before storing them in the fridge till Christmas dinner. Now I’m excited. How festive.